Kay E. Donnelly is dedicated to her work and her city, New Orleans, providing the Crescent City with certified court reporting services. Her main office is located in the heart of downtown New Orleans. She supports legal pro bono projects, as well as paralegal and legal secretary associations promoting ethics, competency, and reliability. 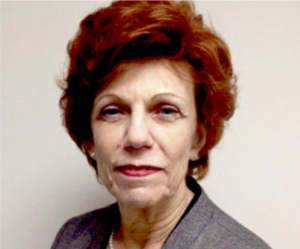 Kay E. Donnelly is the past-president of the Louisiana State Court Reporters Association. Has been a longtime supporter of the New Orleans Bar Association Bench Bar Seminars. Proud recipient of the Louisiana Bar Association’s Friend of Pro Bono Award in 2015. She has always been very generous in providing free depositions for cases referred through The Pro Bono Project and Southeast Louisiana Legal Services. Located since 2003 in downtown New Orleans at 1100 Poydras Street, Kay E. Donnelly has over 30 years of experience in the court reporting industry serving clients throughout the entire state of Louisiana. We participate in the New Orleans Bar Pro Bono Project and are a patron of the Justice for All Ball.